TEXTML SERVER – TEXTML Server est notre puissante base de données native XML, qui vous aide à développer de nouvelles solutions. NOS PARTENAIRES – Découvrez des produits complémentaires qui font d’IXIASOFT CCMS la solution parfaite de bout en bout. POSITIONNEMENT – Grâce à une technologie puissante et à une équipe passionnée, notre solution est au-dessus des autres. SOUTIEN CLIENT – Vous êtes déjà client et vous avez besoin de support technique? Cliquez ci-dessous pour vous connecter à OTRS. EVOLUTION LAB – Notre espace dédié à la collaboration client. Faisons évoluer IXIASOFT CCMS ensemble. SALLE DE PRESSE – Lisez ce que fait IXIASOFT aux quatre coins du monde. CONTACT – Des questions sur nos produits ou services? Nous sommes prêts à vous aider! CARRIERES – Consultez nos offres d’emploi. Have you ever read through a 60-page PDF just to find a few scattered comments from a reviewer? Are most of your technical content processes completed with the cut and paste function? Do you have 18 versions of the same document at any given moment (4 of which seem to have disappeared into the ether)? If you answered yes to any of the above questions, you are in serious need of some DITA and a robust CCMS. DITA is the best way for businesses to publish smart and captivating technical content. DITA stands for Darwin Information Type Architecture, and is an open XML-based open standard for managing, creating, and publishing content. Defined and maintained by the OASIS DITA Technical Committee, DITA uses topics, maps, and output formats to generate documents. Simply put: it helps companies streamline technical documentation processes. Within Darwin Information Typing Architecture, each piece of content represents a unique XML file. The XML-based open standard allows for maximum content reuse across multiple publications, including tablets, mobile phones, and for desktop. Unlike a Word document, where content simply exists (like a rock), DITA content is dynamic. In an instant, you can publish a document to PDF, PowerPoint, RTF, or mobile—without ever having to cut and paste! A DITA content management system allows you to standardize and leverage content with effective reuse, publish to multiple platforms, and translate large batches of content with ease. CCMS stands for « component content management software. » Instead of managing content at the document level, a CCMS manages content on a granular level. Words, photos, phrases, chapters, and even entire procedures are stored in a central repository for maximum content reuse. Components are only stored once. This creates a consistent and trusted source which can be published across all platforms, including PDF, mobile, and print. Within a DITA content management system, you can search for a word, group of words, or phrase in a certain version of a document. You will get a result containing the search term. Unlike other systems where you must manually locate the file and link to its path, this happens at the press of a button, making content reuse easy. Inside a component content management system, each version of a document can be traced and recorded. Components can be tracked individually or as an entire documentation set. This ensures full transparency when it comes to the edit and review process. Why should my company use a CCMS? Let’s say your company manufactures cell phones on a mass scale. Like most products, cell phones come with a user manual (that thing you so often toss out and immediately wish you hadn’t). In preparation for the release of phone X, your technical documentation teams work towards creating and publishing a user guide. This manual will be delivered in multiple formats, including: as a printed booklet, an online document on your website, and as a PDF embedded on the phone itself. It will also be translated into Japanese, German, and French. Next quarter, you will go through the same process for phone Y. 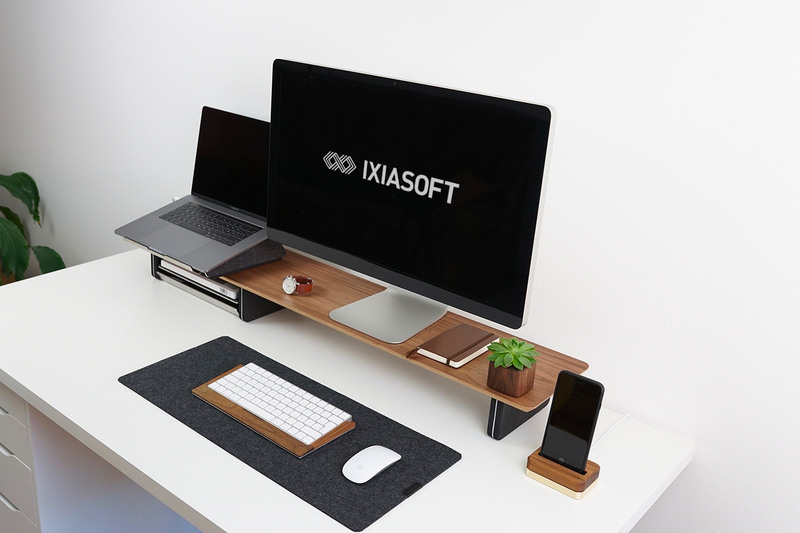 A CCMS simplifies the process by offering a solution that covers technical documentation from A to Z. IXIASOFT CCMS provides an easy-to-use interface guaranteed to improve collaboration at all levels. Now, team members can contribute to the review, editing, and publishing process of any document. Not only is content available for print, is is also available to your end-users on the web, their mobile app or through a QR code. You can also manage and automate parallel and multiple deliveries, or even continuous deliveries, while maximizing reuse within IXIASOFT CCMS. All bits of content are stored in a central repository, and can be re-purposed for publishing in several publications, products and languages. The CCMS is designed with an easy-to-use interface that can easily be adopted by anyone, even non-DITA users. What’s more, you can filter and create targeted content depending on the product options! This creates slimmer but more targeted guides. End-users won’t need to skim through non applicable/unnecessary content. Des questions sur nos produits ou services? Nous sommes prêts à vous aider!